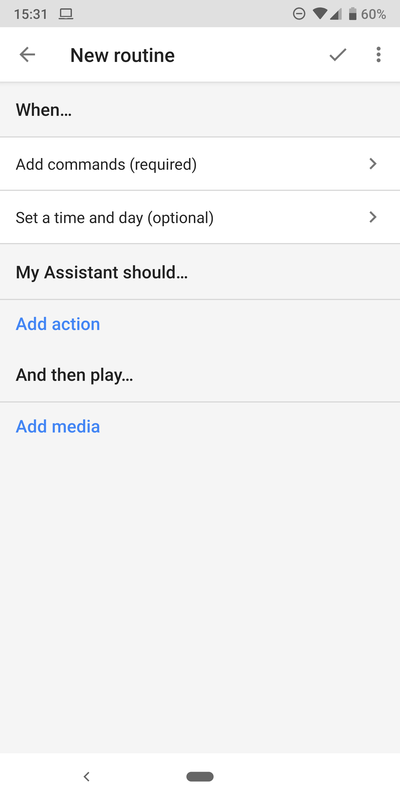 Google's support documentation for scheduling custom routines has now gone live. It's been a long and winding road for routines on the Google Home and Assistant. When the feature went live this past March, only six routines with limited actions were available, but at I/O we were promised customization and scheduling would be coming later. 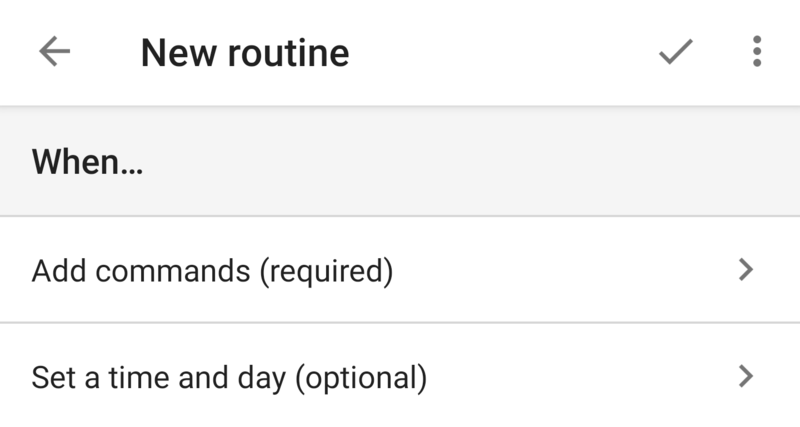 Custom routines landed soon after, in May, but scheduling took its sweet time and has just arrived. 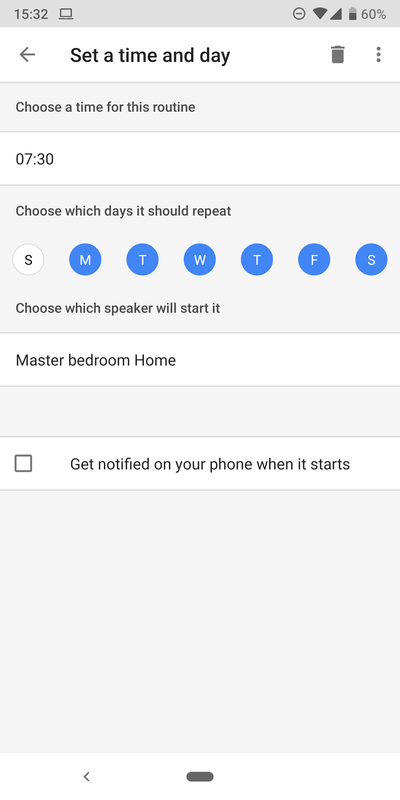 As discovered a long time ago by Cody in one of his APK teardown expeditions, you can still trigger your custom routines with your specific phrases (on whichever speaker you happen to be near) or set them to start automatically at a certain time and day on a preset speaker. The feature is showing up through a server-side change, and is seemingly still limited to US-English users only. You'll see the option to "Set a time and day" when you create a new custom routine or edit (some of) your existing ones. 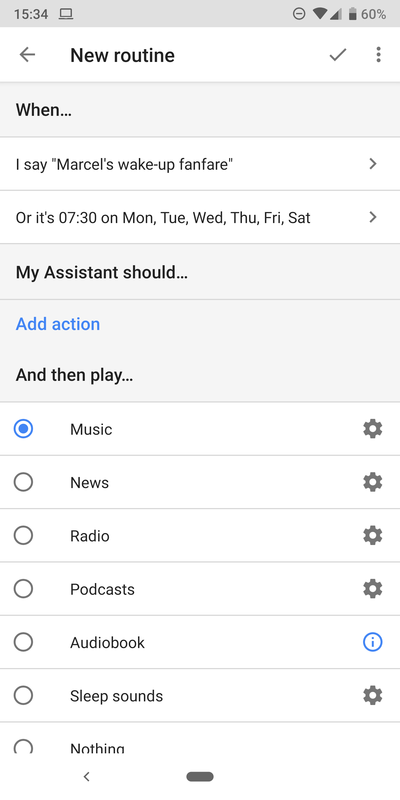 As it stands, it's not available for Google's own six preset routines (for morning, night, leaving, etc...). That's a bummer. I'd really like it if my morning routine could start at 7:30am, instead of having to create a new one. 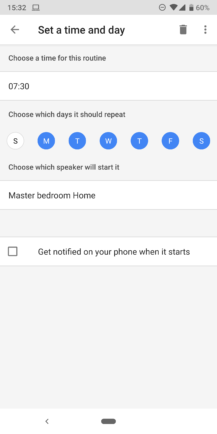 You can choose the time, different days, and the speaker where the routine will trigger on automatically. You can't have different times for various days of the week (say 7am weekdays and 10am weekends, for example), but it's possible to get around that by making two similar routines. The real downside to scheduling is that you still get the whole fanfare of answers from Google after a scheduled routine starts, so your speaker will announce everything it does instead of executing the routine calmly. Maybe one day we'll be able to disable that. Or maybe it can be circumvented by setting the speaker volume to 0% as the first action, then to a regular volume as a final action? This needs testing. Edit: Yup, this works. It's not the simplest thing to implement, but it's a workaraound.